Provided in a small neat little lighthead with the standard 20 degree beam pattern. The rear light is attached using the standard ‘o’ ring system, as does the front light, however the ‘o’ rings have been redesigned to fit two sizes of bar in one. MagicShine fascetta. MPN MJ-880 Zip Tie. MagicShine Zip Tie. SMagicShine Zip Tie. Call in for a look and enjoy a brew whilst you look around. 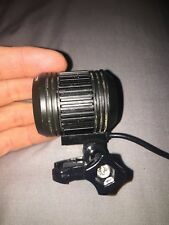 The MagicShine MJ-900 bike light using a Cree XM-L2 LED. The Magicshine MJ-900 has a beam angle of 20 degrees, so slightly wider than the MJ-858, with a thoroughly decent beam throw. The MJ-900 makes use of four power levels 100%, 50% 30% and a flashing mode. 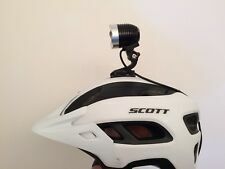 LUCE BICI Magicshine MJ-906 Combo - 5,000 Lumen, Telecomando senza fili, F..
MagicShine is proundly to bring a multitude of new lights onto the market.The MJ-906 uses a TIR optic lens to produce a wide flood beam that lights up your entire field of view. The included wireless remote switch can be mounted for easy access on any bar and allows you to change modes for changing conditions or to dim the light for oncoming traffic.